Facebook FREE FAX! 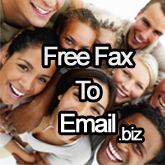 Fax to email for Facebook email! 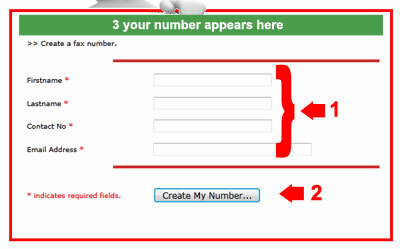 Q: Where do I sign up for a free fax to email number for Facebook? Q: How long does it take before I can receive faxes for Facebook? A: You can start using the free fax to email service right away, it will take you 60 seconds to sign up, if you type normally. No longer than one minute. All we need is your name, phone number and facebook email address, it is that easy. What you need before you start : Your Facebook email address - to receive your faxes. If you do not have a facebook email, then you will need to "Claim you Facebook email" account. You use the message icon to access your @facebook.com email. Click the "See all messages" from the dropdown window. To set up a free @facebook.com address, go to your Messages view and click the "Claim your Facebook email" link. If you have already claimed your facebook email address, this option will not display. You can test your email by sending yourself an email from within facebook itself. Click the message icon, type in your @facebook.com email in the To: field, type a short message in "message" field. Click the "Send button". You will receive your email as a new message. If you fail to see the fax in your messages, click "other" and look for the email in there. 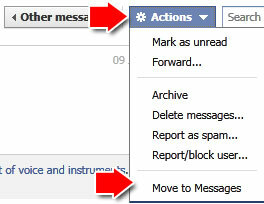 Click the email to view it and click "Action" -> "Move to messages"
How does fax2email for Facebook work?